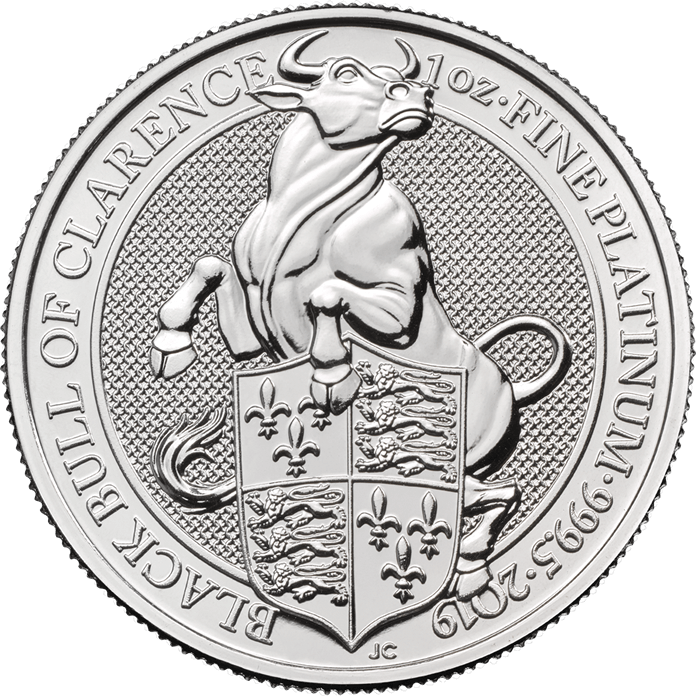 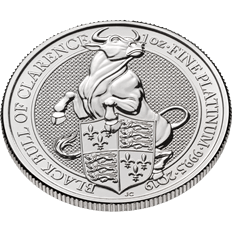 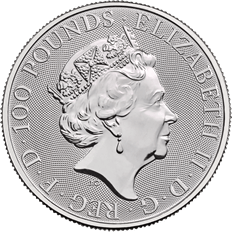 Following the success of the previous releases in The Queen’s Beasts Collection, this one ounce platinum bullion coin is a new addition to the range. 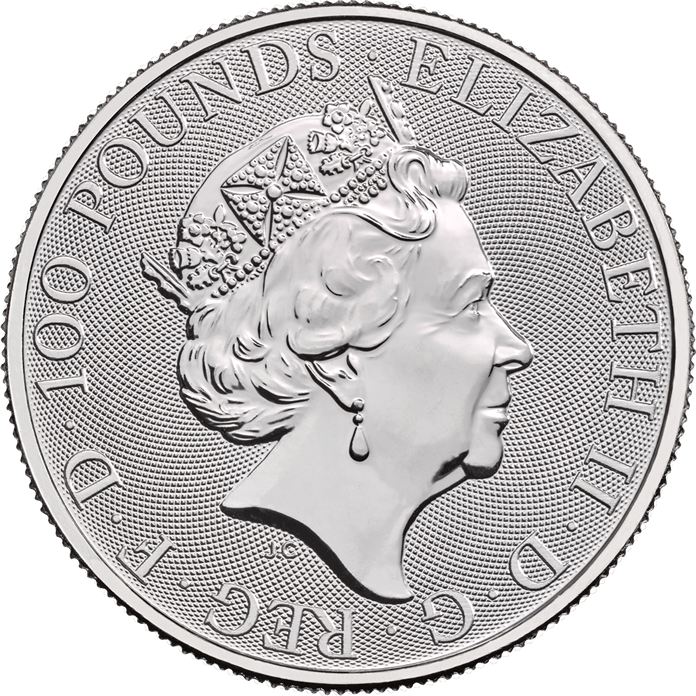 This one ounce platinum bullion coin features another original portrait by Royal Mint coin designer Jody Clark. The bull has been portrayed as powerful and muscular in a design inspired in part by rodeo images as well as classical sculpture.